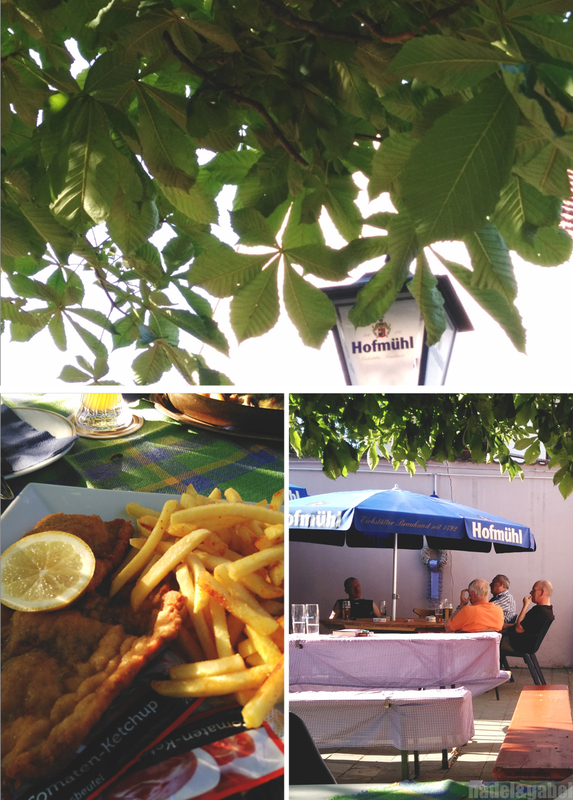 When we planned our weekend off, we hoped for good weather. 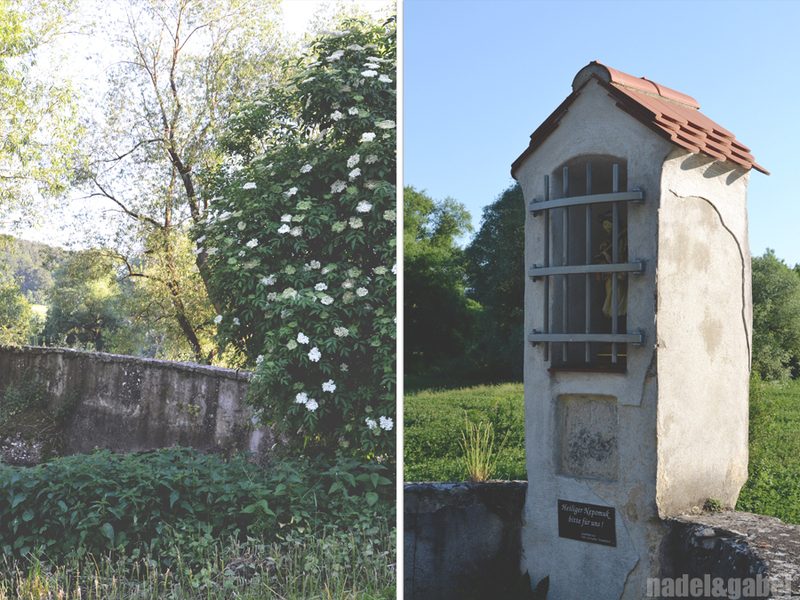 What we didn’t expect were what we got: Summer showed its full power for the first time this year – with tropical temperatures in the middle of Bavaria, or to be precise and not offend anyone: Franconia. 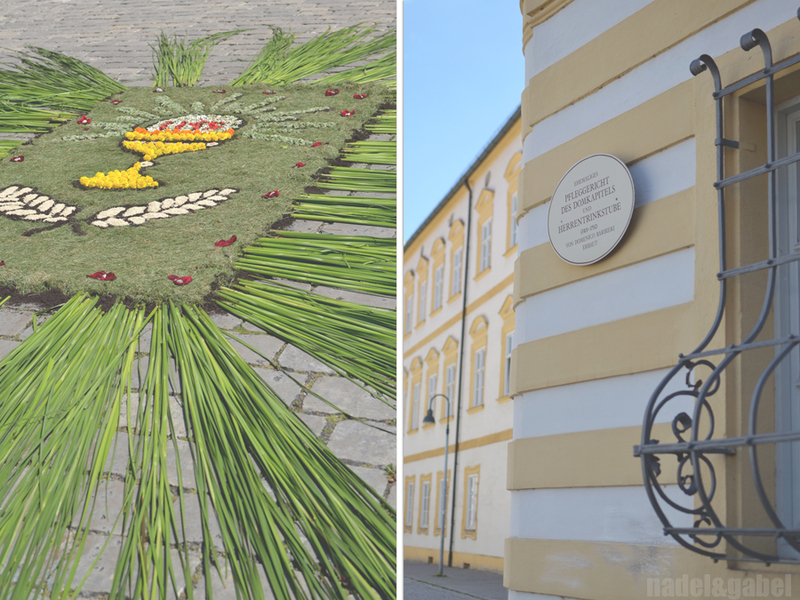 Already when we came closer to Eichstätt, one of the bigger cities in the otherwise rural area of the Altmühltal (Altmühl Valley), we could see houses decorated with birch twigs, flags and flower carpets. 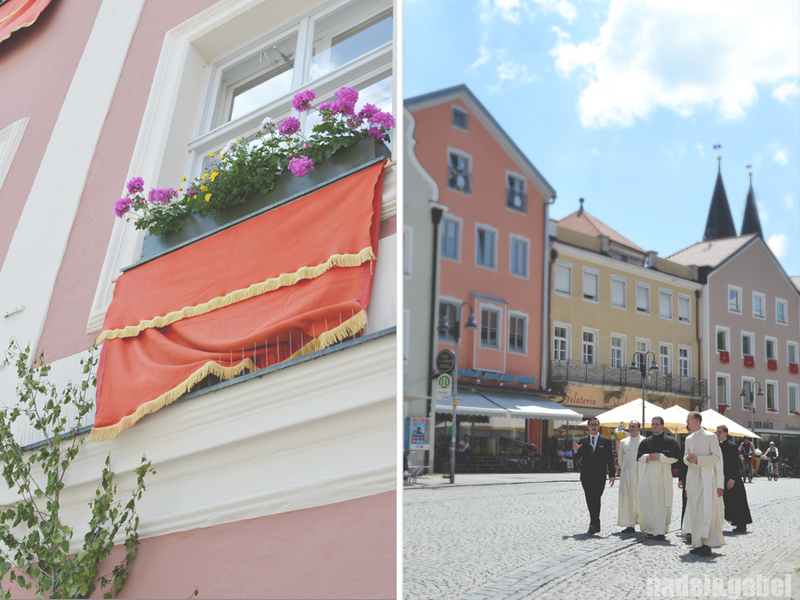 It was Corpus Christi Day, which is celebrated in the traditional Catholic regions this way. 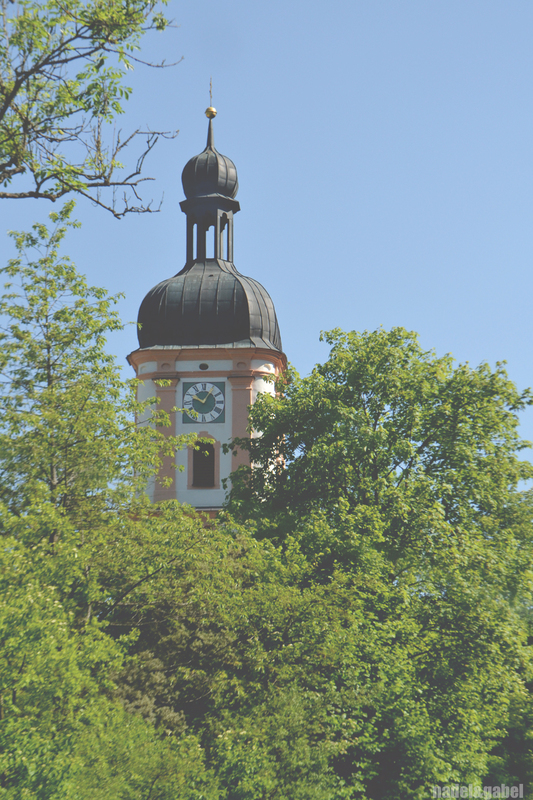 In Eichstätt, bishop’s see and home of a Catholic university, the traces of the holiday celebrations were present as well. 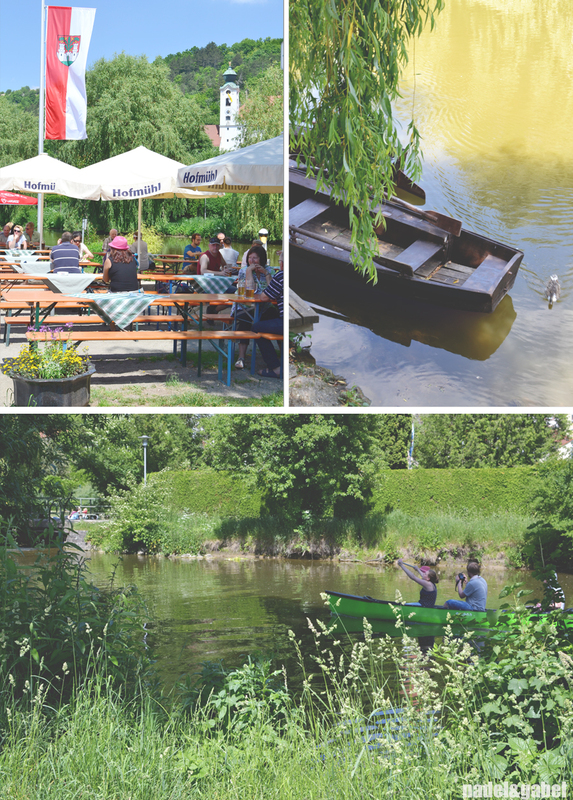 But now, in the afternoon the baroque city centre was quite empty and people gathered in the Biergarten at the river Altmühl, on the river in their canoes or directly in the water to get some cooling. 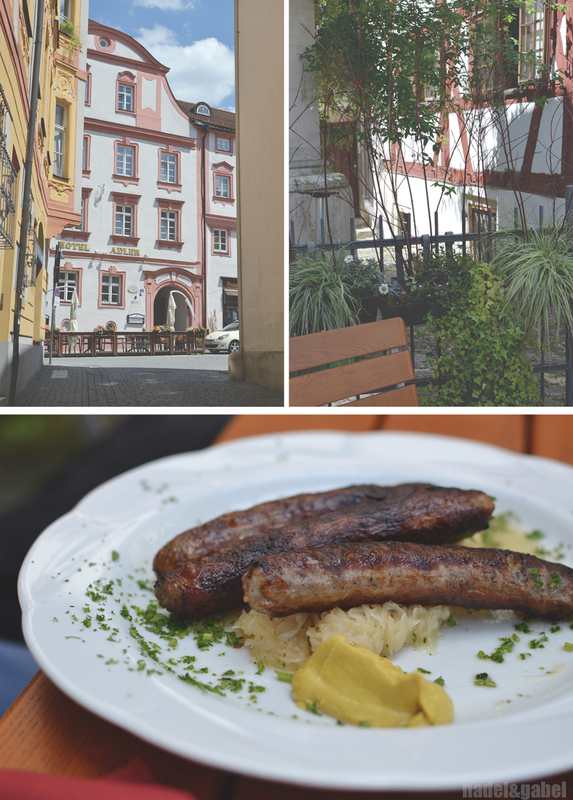 We enjoyed our first – but not our last – insight in the regions culinary traditions: classic Franconian fried sausages and Sauerkraut. 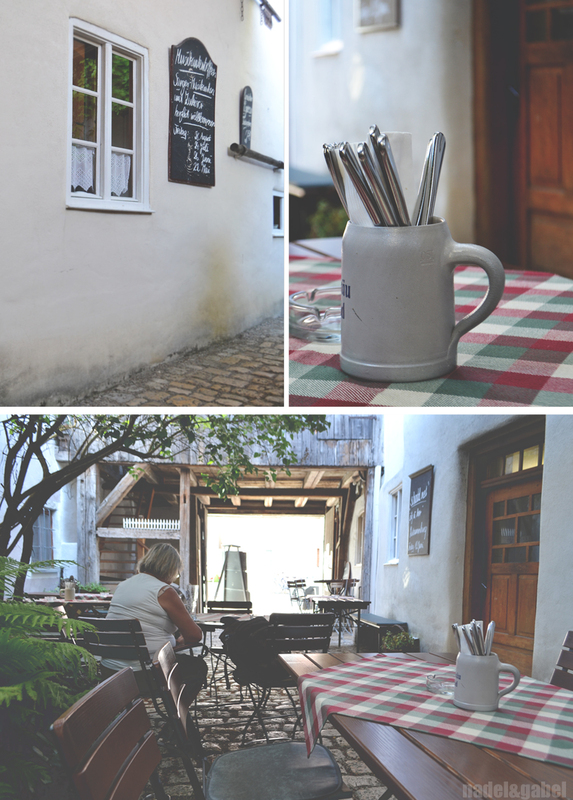 Then we headed to our accomodation for this short trip – more about this in an upcoming post – and ended the day in the Wirtshaus (inn) across the street (together with the villages regulars’ table) with a good classic Schnitzel and more than one smooth chilled beer. 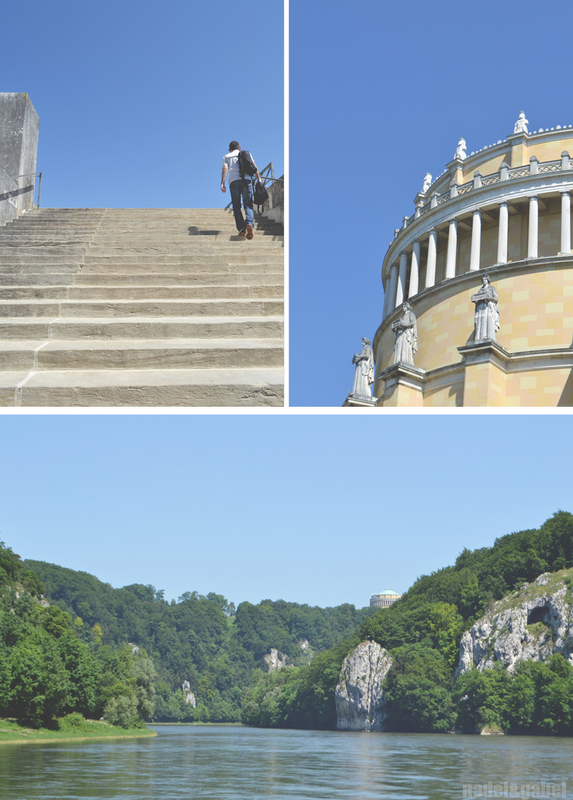 Relatively early the next morning we reached Kelheim at the nearby Danube and walked up the hill to the town’s landmark – the Befreihungshalle (Liberation Hall). 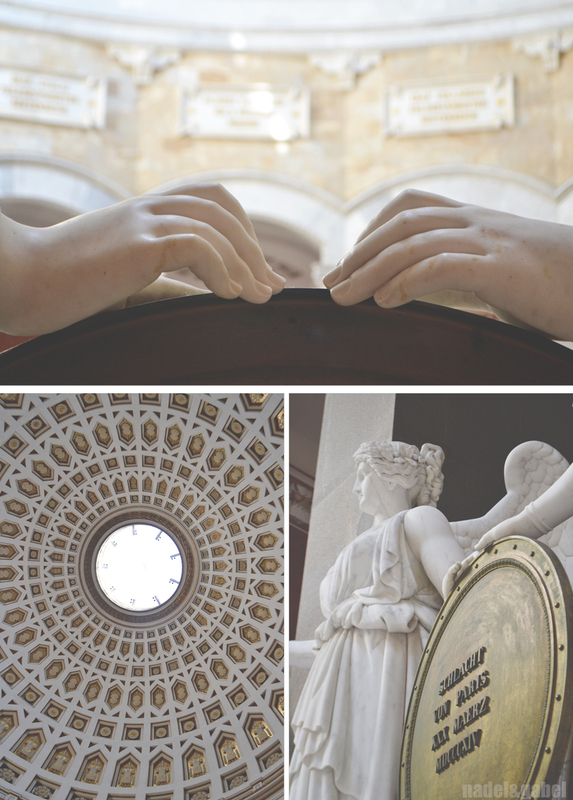 It was built on the authority of the Bavarian king Ludwig I. to celebrate the end of the so called “Befreiungskriege” against Napoleon between 1813 and 1815 and the concerted action of all “German tribes”. 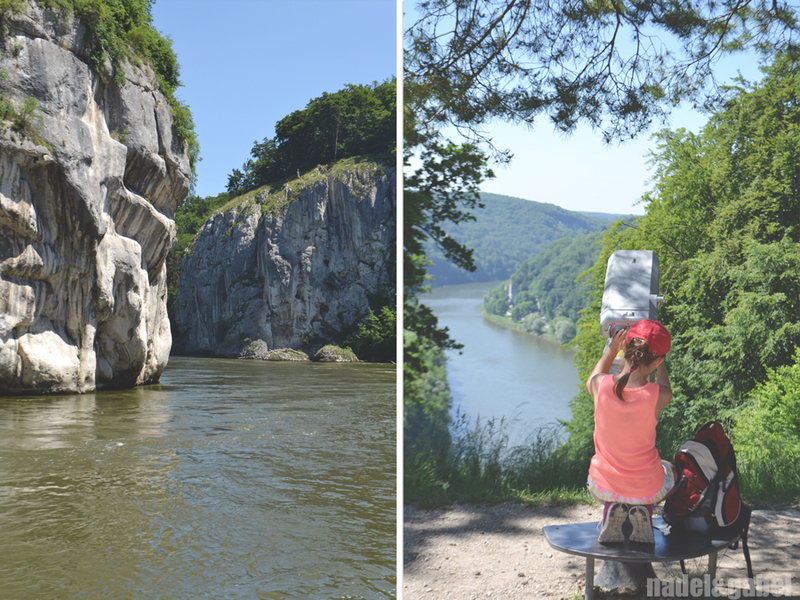 From up the hill we could already enjoy great views on the Danube valley. 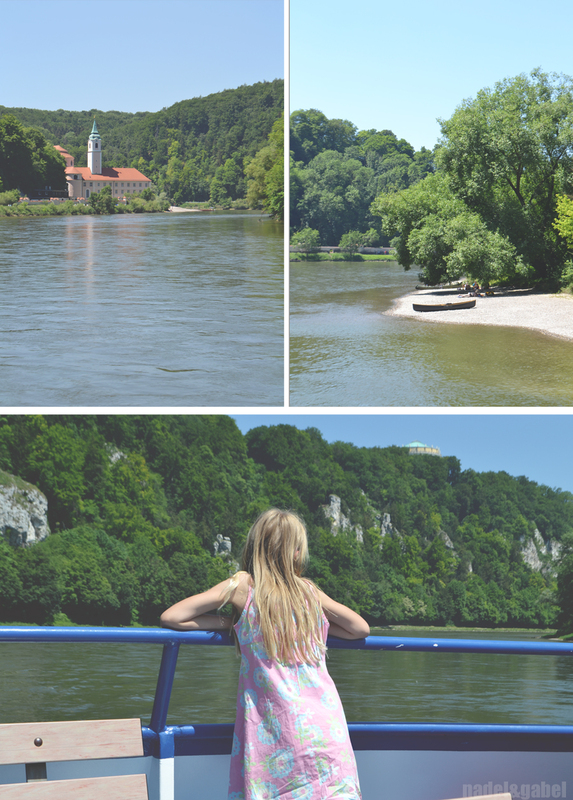 When we had reached the river again, we set on a boat trip through the famous Donaudurchbruch (Danube Gorge) to the not less famous Abbey of Weltenburg, the oldest monastery in Bavaria with the world’s oldest Monastery Brewery. 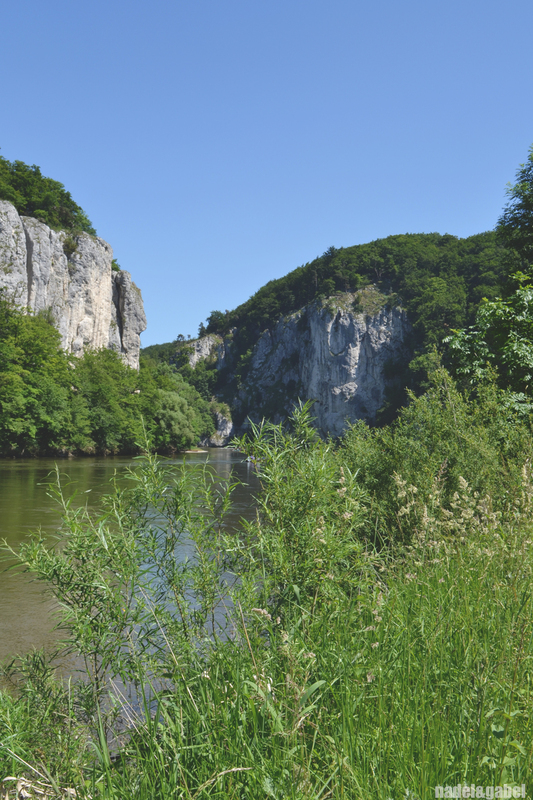 The impressive craggy cliffs are wittnesses of the forces of nature – although it actually wasn’t the river Danube that broke through the lime stone here, but a side stream that only a bit later, about 150 000 years ago, merged with the primal Danube. 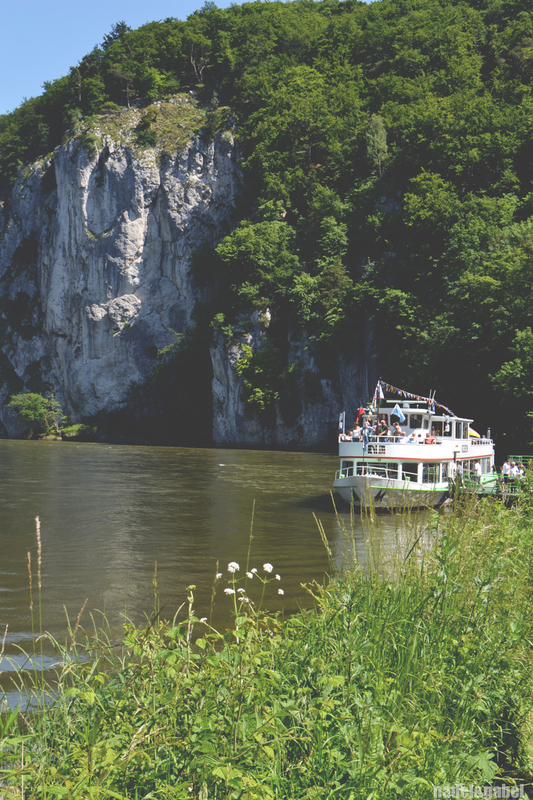 No wonder that this unique and spectacular landscape is one of the oldest natural reserves in Bavaria. On this sunny day we obviously weren’t the only ones who had this idea and the tourist boat was full of families and senior tourist groups. But you can’t expect to have such a place for you own, can you? 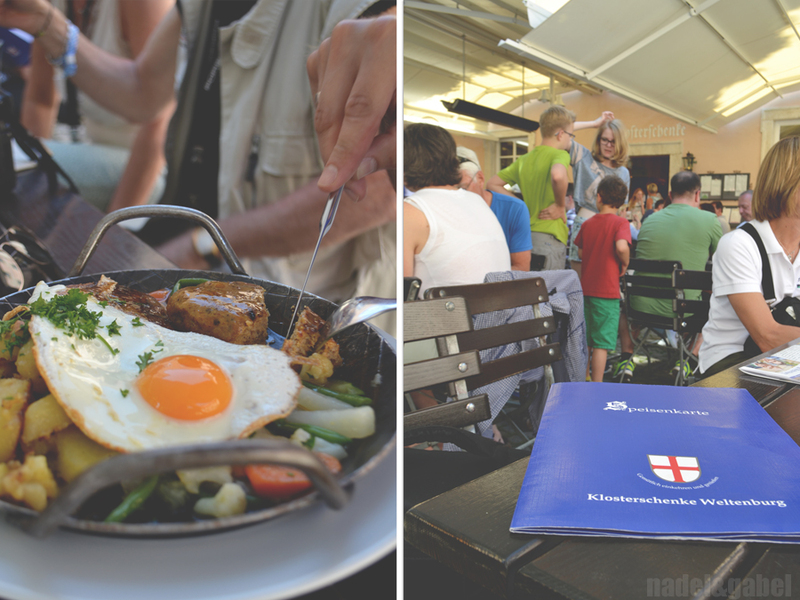 Again – yes this was a central theme of our trip 😉 – we enjoyed hearty plain food like Fleischpflanzerl (meatballs) and Fleischkäs (kind of meatloaf), which work perfectly well with a nice chilled Weißbier or Radler (shandy/lagor and lime/…however you call it). 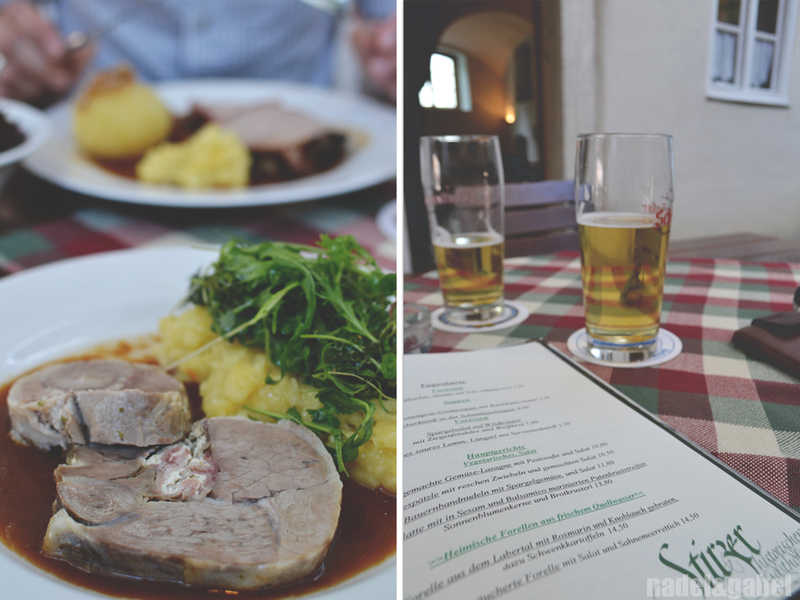 In the evening on our way back home along the Altmühltal we stopped in Dietfurt for dinner at the famous around Gasthof Stirzer with its rustic charm – roast pork and lamb from the Altmühl meadows, Knödel (dumplings), (South German) potatoe salad,… do I have to say more? 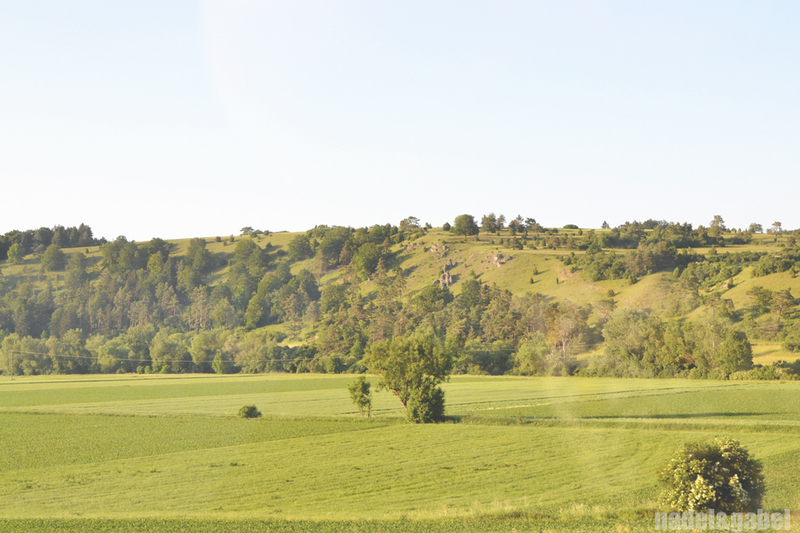 The evening light showed us the nature park Altmühltal from is most picturesque side again: A landscape formed by primeval forces. 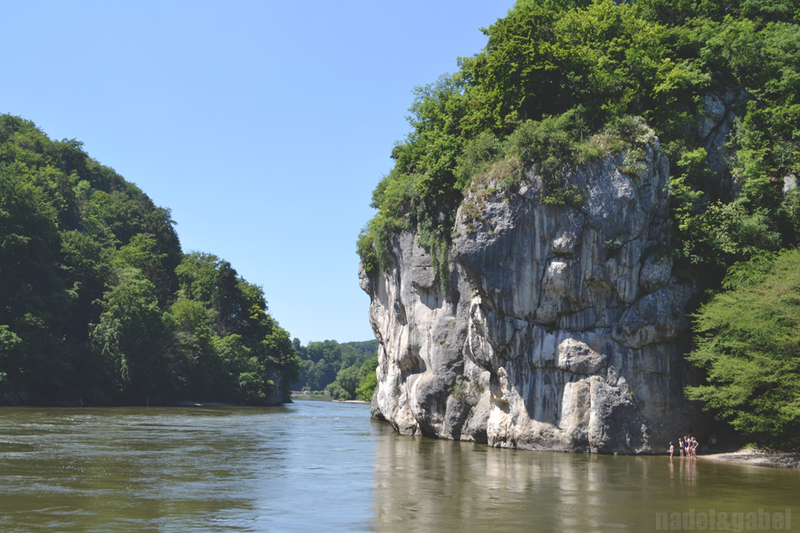 A spot were you can admire not only the traces of the Jurassic Era when this place had been a tropical environment with lagoons and islands, but also the ancient Roman heritage when the Roman military border limes went right through this region. 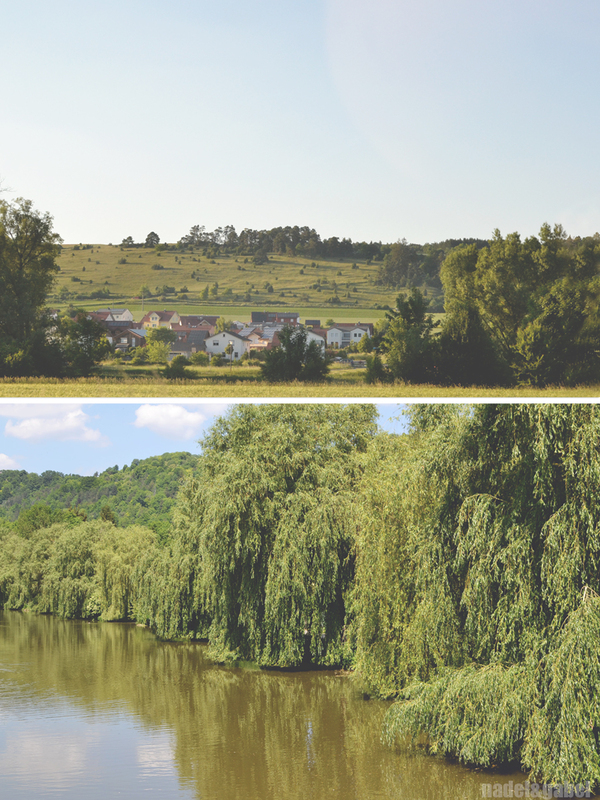 Juniper heathland are alternating with rough cliffs with a castle sitting on top of nearly each of them, canoes are making their silent way through the river Altmühl, scattered sleepy villages, that awaken for traditional catholic holidays… and it’s all peace and quiet. 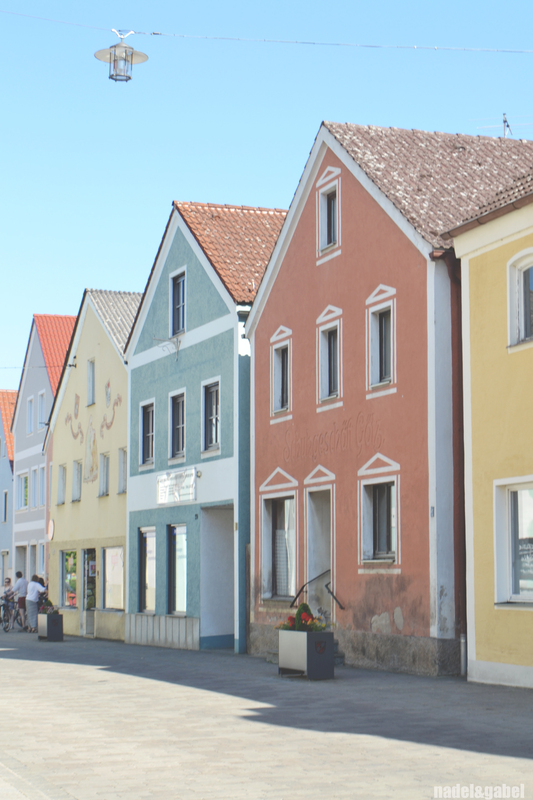 Ist auch mal ganz schön-ohne Stadt…Dann viel Spass in Nürnberg – auch mit soviel Anhang 🙂 ! Da bekommt man richtig Lust, auch mal die nähere Umgebung zu erkunden! Liebe Grüsse!